It's hard not to be party to one of the extremes that Electronic Arts might force you into. One such extreme is that of total dissatisfaction with their modern line up of games as well as with their politics, which have downgraded PC gaming to a secondary market. 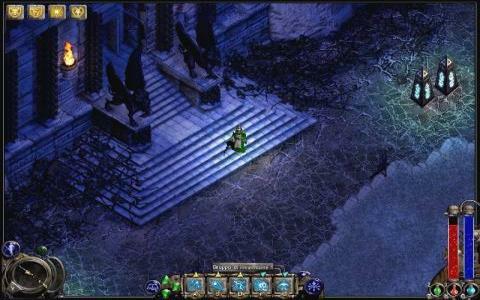 However, in 2000 the company was still interested in producing enticing titles, among which Nox stood out. 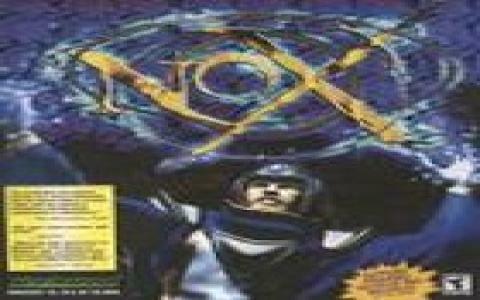 Nox is a role playing game that brings forth a parallel universe, where the empress Hecubah has enslaved the realm. You, a fellow named Jack are the one to put an end to her reign and to bring peace to this land of fantasy once again. The game offers you 3 distinct classes for your character, a warrior, melee specialist, a conjurer and a wizard, both fighters at a distance though with different types of damage capabilities. There are also different storylines to be unlocked while playing the game, which take into consideration your options as you play. The game is controlled via an isometric perspective that limits the character's view to what is immediately and without question visible to him from his own perspective, which leads to some interesting fights, where you'll have to trade visibility for stealth. If you love Baldur's Gate type of perspective and game style this one will not disappoint, and, furthermore, it will be much more friendly and easy to see to completion, though not without its challenges. 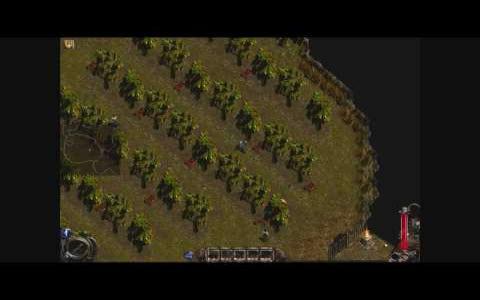 Nox was Westwood's answer to Diablo 2 back in those days. It's an action RPG set in a fantasy world. There are three characters, warrior, wizard and a mix of the two, conjurer. The controls take a bit of adjustment to get used to, especially if you're already a long time veteran of Diablo. The game is a solid entry to the genre and stands well enough on its own. It didn't need a pre-existing intellectual property or franchise name behind it in order to gather fans. It's an often overlooked game that I just don't hear too much about anymore. If you need an action-RPG fix, and have already played the likes of Torchlight and Diablo, then Nox is a good choice. If there was one flaw with this game, I'd have to say that it was too simple. It was easy to beat, it almost seemed like a tacked-on effort for the two RTS giants Westwood's Command .